If you are looking for a way to burn fat and drop those extra unwanted pounds, then Ellis Athletic Center is where you need to be. Our services and amenities are designed to rev your heart rate to increase your metabolism and burn calories. Our equipment will help you strengthen, tone and sculpt your muscles, and our qualified team will guide, motivate and propel you to fitness success. You can work at your own pace with our heart-pumping cardio training equipment such as treadmills, bikes, and Zero Impact Stair Climbers. Or you try group exercise classes for dynamic fun and the accountability of a group. We have solutions for all ages and fitness levels designed to keep you in top shape, from high-intensity programs and functional training to low-impact exercises designed for seniors with our Silver Sneakers programs. If you are new to a fitness center or if it’s been awhile since you stepped foot in one, a personal trainer will assess your current fitness level. Based on their assessment, they can help you identify realistic, achievable goals. Your personal trainer will show you the most effective exercise, intensity, and duration to get you there safely. 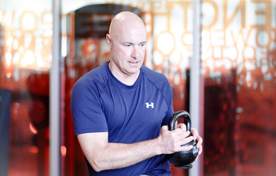 Call our Newtown Square gym today to schedule your complimentary assessment and the first hour of personal training at Ellis Athletic Center! It’s time to find the ultimate weight loss solution and finally drop those extra pounds for good. For additional information about personalized weight loss programs, call our health club at (484) 200-7774.